The Pioneer Oven is a highly efficient super clean burning stove specially designed for freestanding situations. The warming oven will cook casseroles and bake potatoes, whilst the large hotplate is ideal for boiling a kettle or keeping your coffee warm. 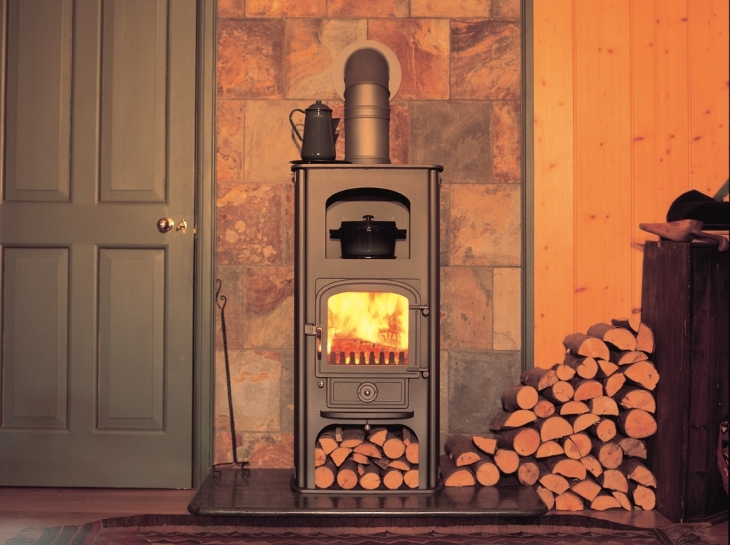 The convection casing reduces rear and side surface temperatures allowing the stove to positioned closer to wood and glass. Warming oven for cooking casseroles, baked potatoes, etc. Convection casing for a lower surface temperature, allowing closer installation to vulnerable surfaces. Solid brass removable door handle and knobs.